It’s already been a week since we hosted the first official Winter Cafe at Umihotaru, and I’m still very excited about how it turned out. First and foremost though, I’d like to thank each and every person who came out (with or without a car) to hang out and meet new people. Above everything, I created this meet for the purpose of networking. I love meeting new people, and these sort of events are the perfect way of animating that goal. I hope everyone who attended took something away in that regard. I’d also like to extend my gratitude to of course my good friends Sekinei and Nao who helped put this together, and sort of act as ambassador of NDF. 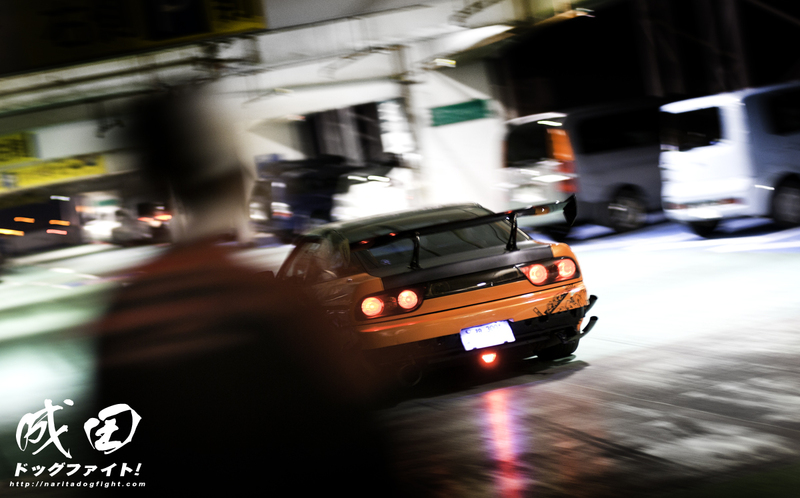 They also did a good job of tying it into their own page, CPK6, highlighting rolling shots on the Kawasaki 6 line. 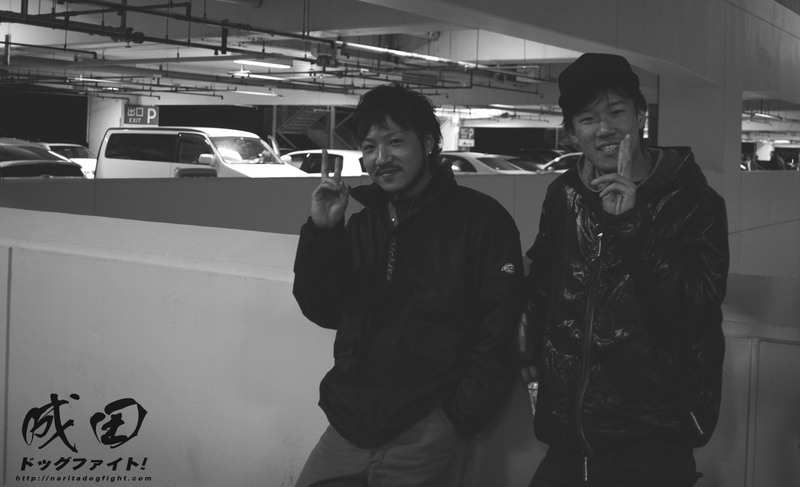 Sekinei is a large contributor to NDF in Japan and I truly feel at home when I’m here because of that – our friendship has grown and I’ve been introduced to people I know call good friends as a result. I hope, as the years go on this meet can grow, and serve as a vessel that harbors those kinds of international relationships. OK then – Saturday November 16th, Umihotaru PA; venue to the Cafe. 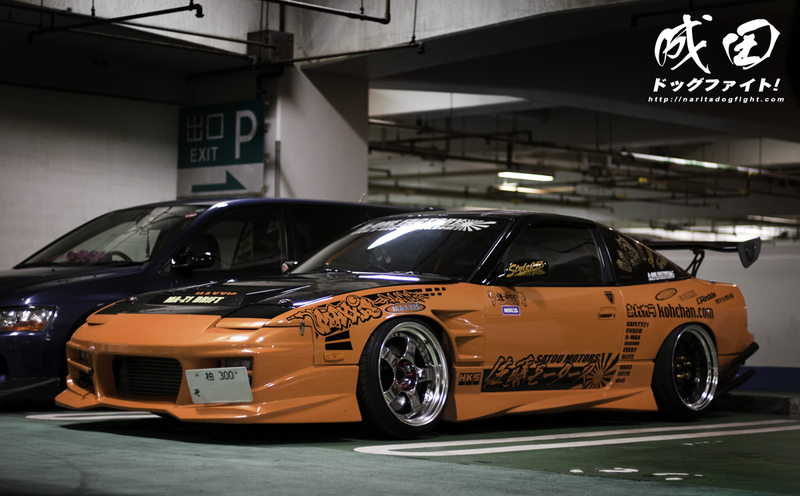 I’ve always loved this parking area, mainly because of how cool the location is. If you’re not familiar, Umihotaru is located as a midpoint on the Tokyo Bay Aqualine, and it is literally in the middle of the Tokyo Bay. There are many restaurants and arcades there, but mainly it’s got a large parking lot…that’s basically all it is actually; a parking lot. For our purpose though, it’s perfect. 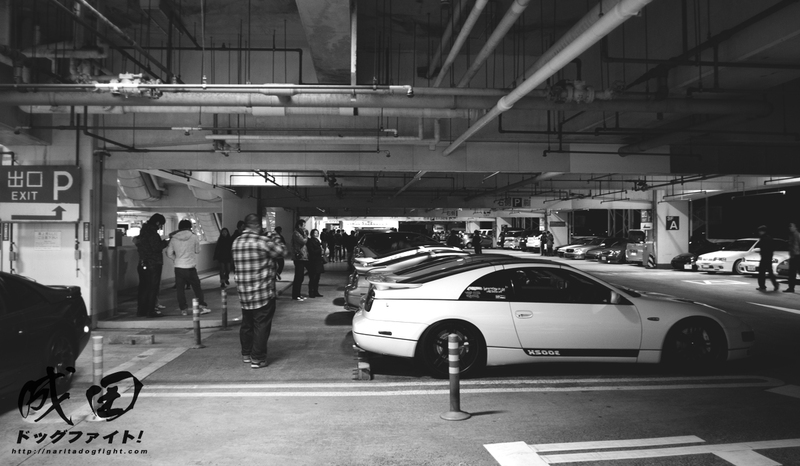 Many car enthusiasts gather here on the weekends anyway (for obvious reasons) so it worked out great. It’s a great halfway point between Kanagawa and Chiba, so it didn’t put anyone out location wise. 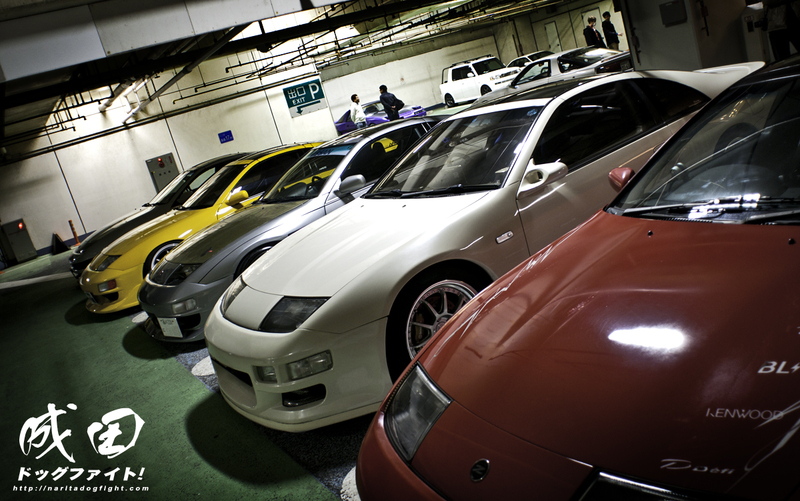 Over the years I’ve developed quite a good relationship with the Z community in Japan, and was very excited to see a good dozen of them show up for the Cafe. 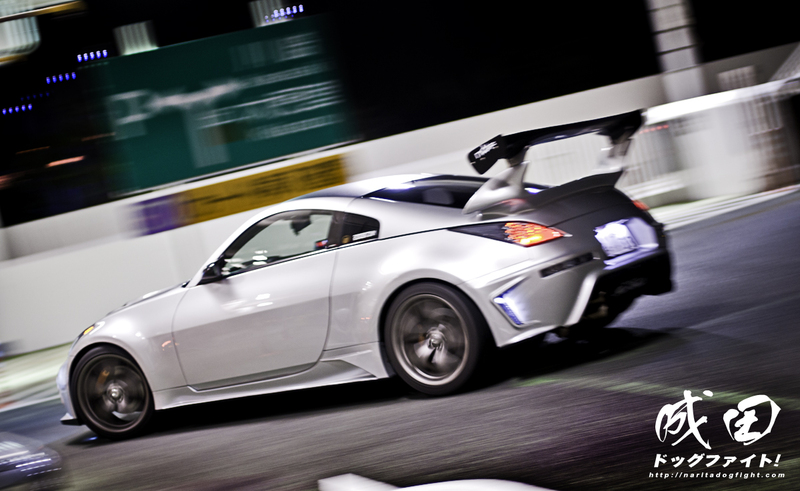 Including my good friend Harada-san, whose car is seen here, in his newest form. 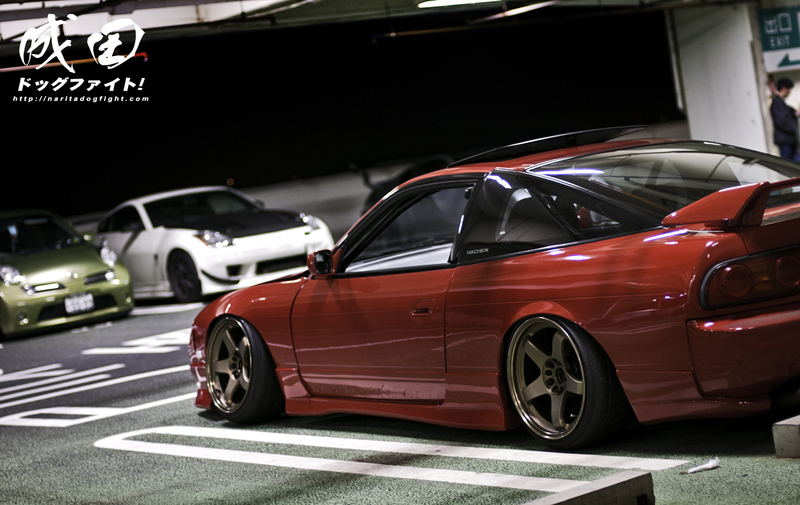 Kikurin’s extremely widebody MKIII. 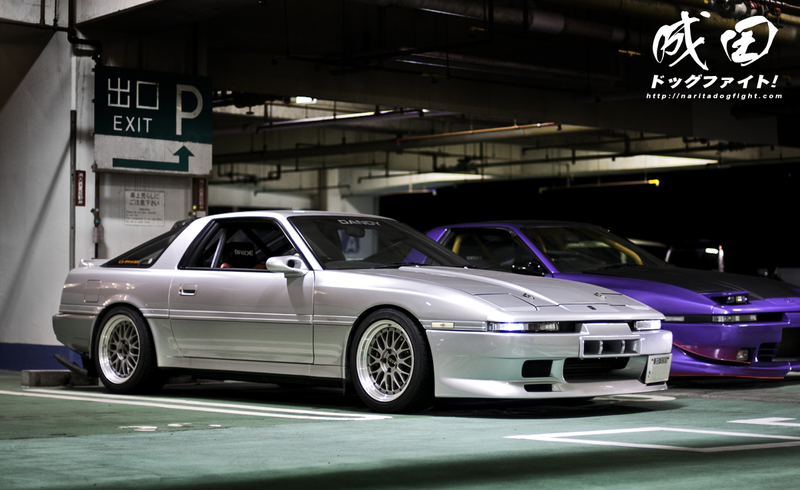 This car is pretty amazing in person – hundreds of hours of work in just the body alone. 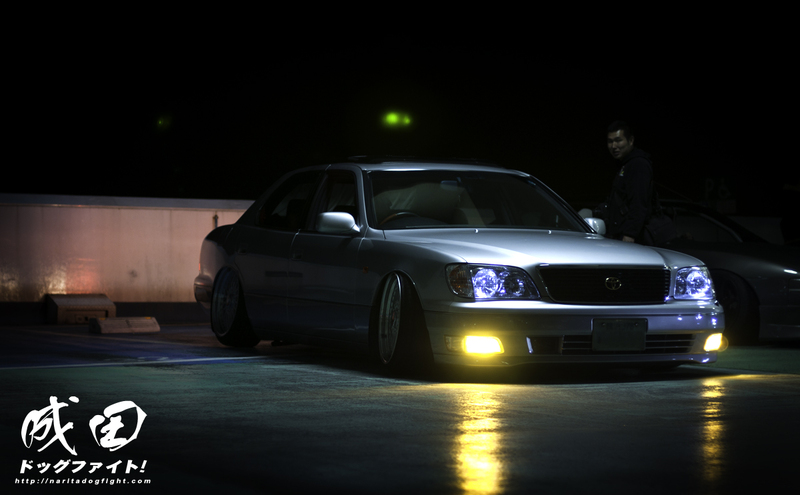 Nao’s wangan running MKIII now on BBS wheels (wider than the previous Volks). 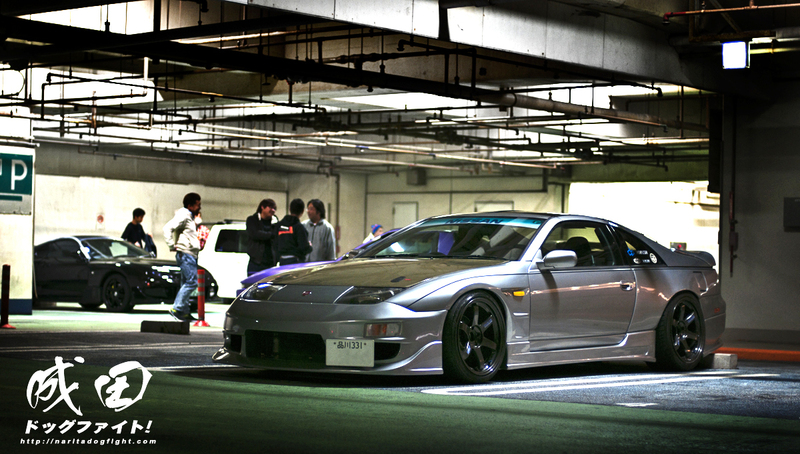 The Z guys were the first to show up…and mostly the last to leave! …on mismatched passenger and driver side Works. 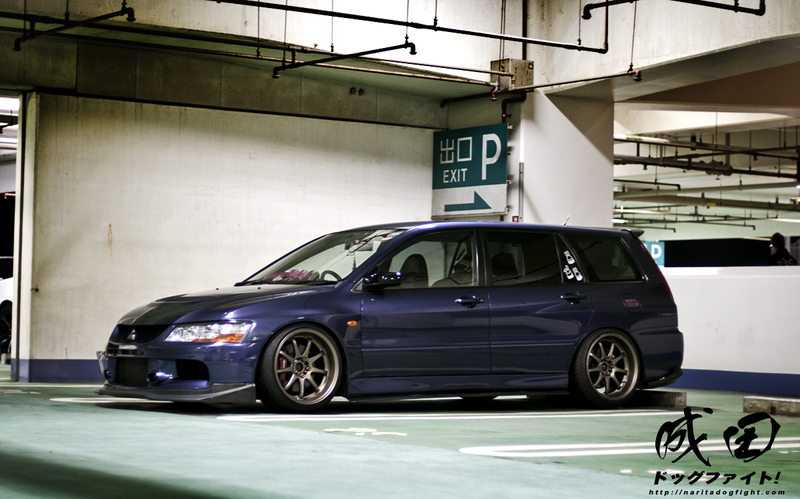 Such a cool wagon! 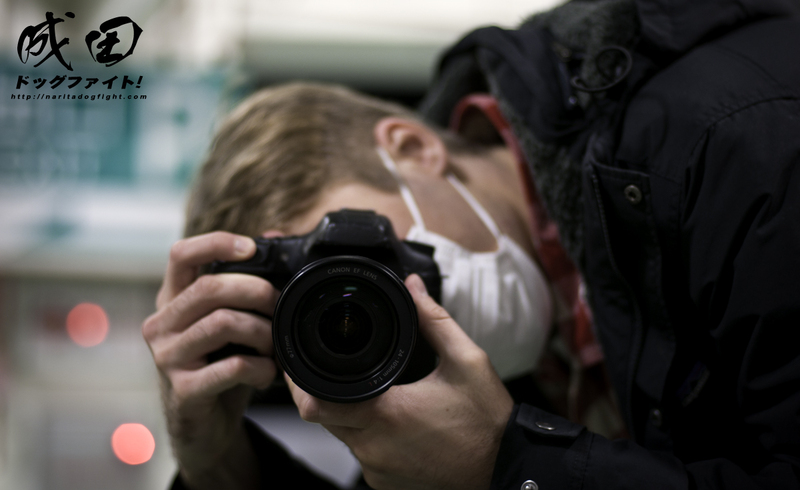 My good friend Matt of Constant Fun – you can see a little post he put together here. Hope you read Japanese. 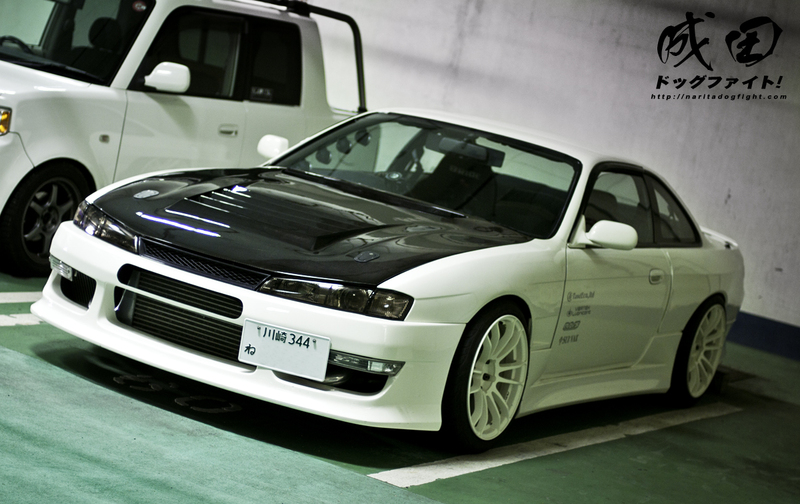 Our friend of the show came out in his S14.3 – not the greatest shot, but the lighting is kind of strange here. 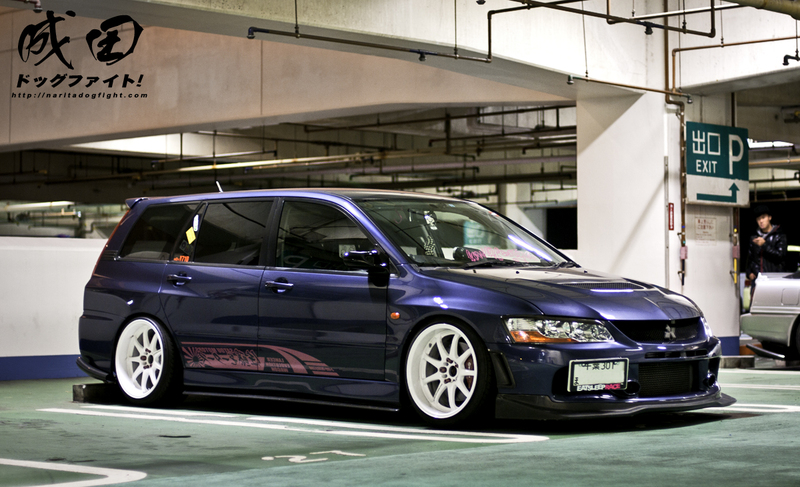 This car is executed so well! See more of it here. I like this shot of this LS because it makes Sekinei look very ‘yabai’. Great looking car too. 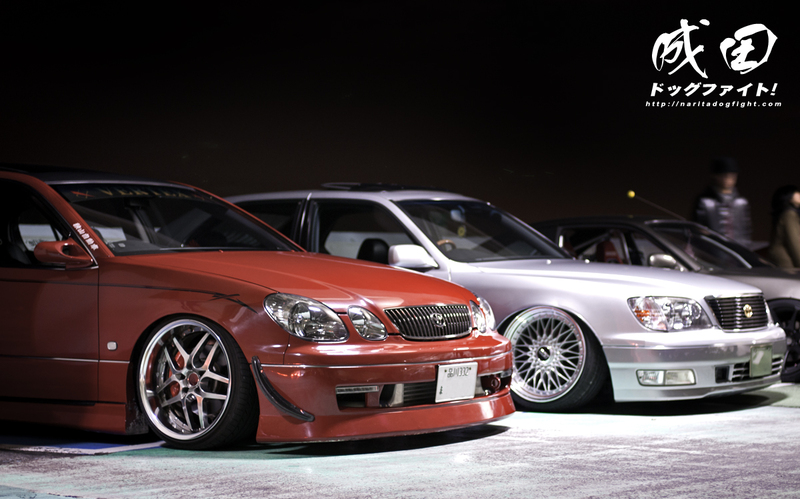 This Aristo came along with the LS, and was very well built. 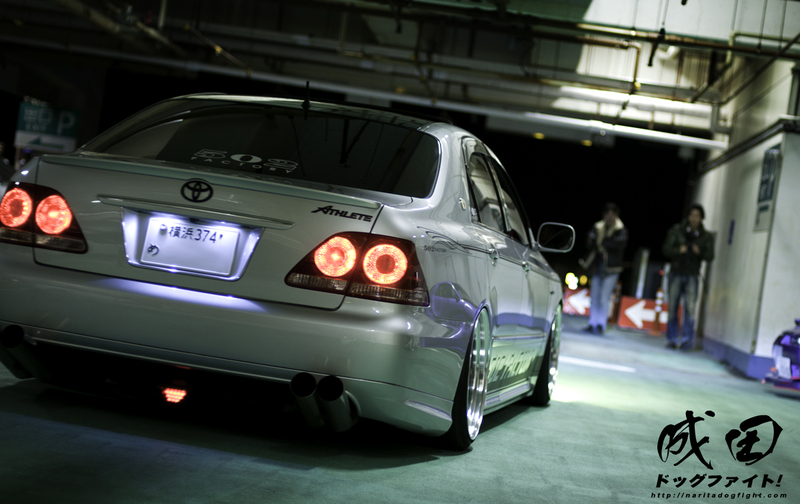 I’m convinced Vertex aero is among the best looking for this chassis. I also am a sucker for VIP builds with bucket seats; although with that front mount, it seems this car would handle itself quite well on the Aqualine. 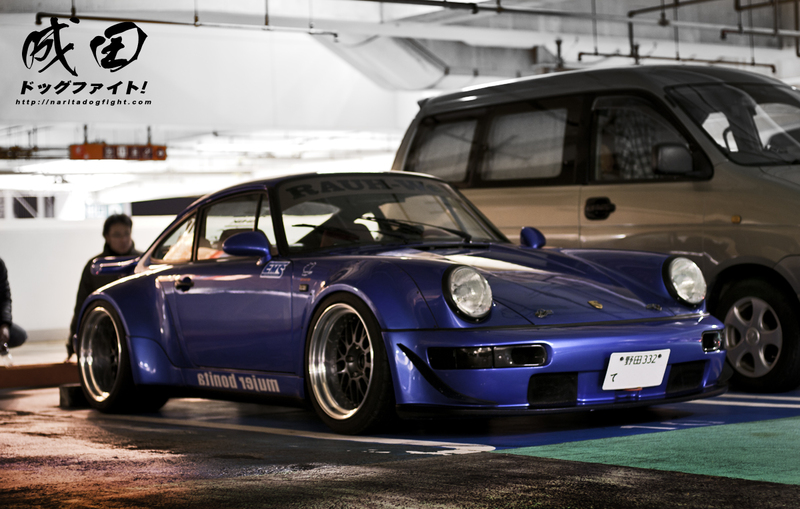 Among the RWB cars that came out, Motomasu-san brought out Mujer Bonita – love the color of this. 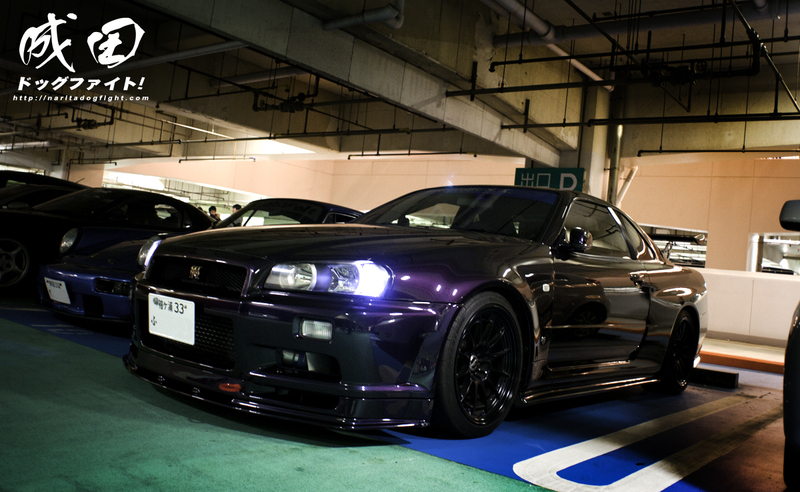 Revolfe S.A. tuned R34 – at just over 500 horsepower, this car gets on just fine. Yui Yui brought out her Z33 with full Weber aero and custom NDF decal ^^ Pretty cool getting to meet her, and seeing her car in person. The Weber kit is pretty rare. 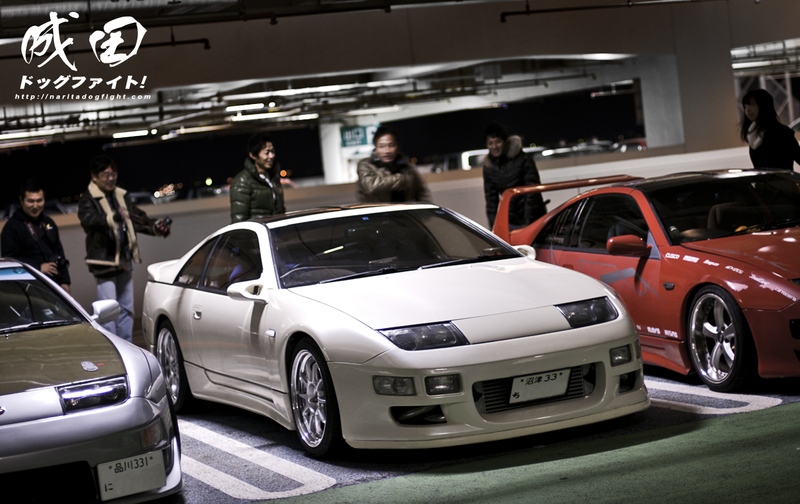 Friends talking around Totsuka-san’s twin turbo Z32 on Meisters. 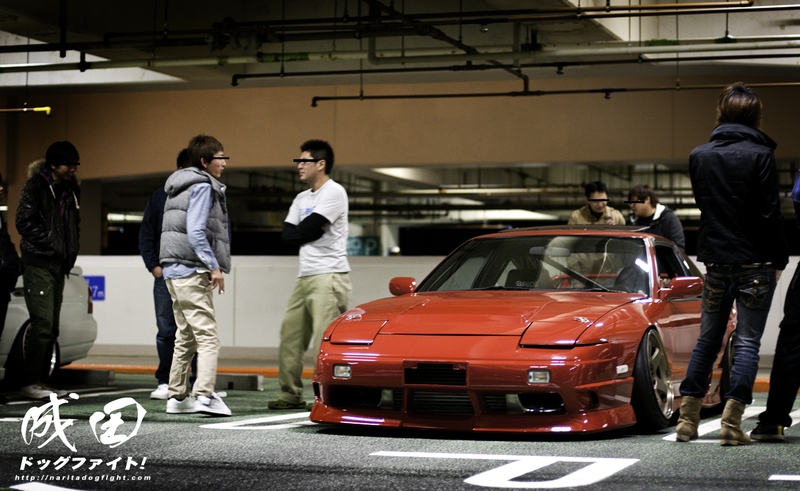 Asano-san’s now famous 180SX from Chiba. Pretty excited to see him come out with some friends. I think I’ll stop it here for part 1. There’s still a lot more to cover and there’s no need to stuff it all into one post. Hope you enjoyed so far – it’s been great going back through these photos. Thanks again to everyone who came out! みんな、 ありがとうございます! Stick around for part 2 next week. Oh yeah, I almost forgot! This was the official sticker of the event. A similar design will be made for next year, and so on…there is one catch though. These will not be reproduced. 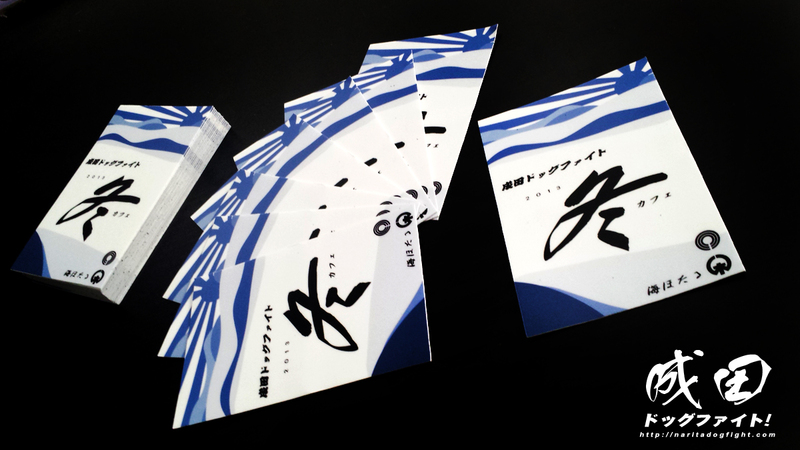 100 were made, 50 were given to the first 50 people at the Cafe, and 10 were left with friends. 40 will be on sale on the NDF Store this week – when they are available I will post on the NDF Facebook page. Remember though, once the 40 are gone, there will be no more so if you’d like one please order quick. Stay tuned! Cheers.